There was a time in my life when I didn't eat breakfast. I literally could go from my morning wake up call to 12 or 1 in the afternoon on only a cup (or 3) or coffee. How did I do that?! Once I gave in to the whole breakfast-is-the-most-important-thing-ever thing, I never looked back. Now, breakfast is a must, every.single.morning. I don't really have a standard breakfast. I'm an equal opportunity eater. Sometimes I like a yolky eggs overeasy (especially when Shaun makes them for me) with a bit of crispy, buttery toast. Sometimes I go basic scrambled eggs with a little bit of cheddar cheese. Pretty much anytime I can eat fluffy pancakes coated in real maple syrup. I actually can't think of too many things that are better than that. On a weekday, you can often find me toting a green monster smoothie to work. I fill my smoothies with bananas, almond milk, peanut butter, protein powder, and sometimes blended oats. But sometimes, I get tired of the liquid breakfast on-the-go. And that's when I have oatmeal. I've had it so many different ways, but my latest creation is by far my favorite. Occasionally, oatmeal can be so dry and tasteless. But not my chocolate covered banana oats! I know. You are probably thinking I am nuts for making this sweet treat my breakfast. But trust me. It's so delicious. The cool bananas are a wonderful burst of flavor. The lite chocolate syrup is not overly sweet but also adds another level of moistness to the otherwise dry oats. Have I ever steered you wrong? Prepare your oats on the stovetop as directed. Stir in the sweetener. Layer the bananas on top. Drizzle with chocolate syrup. I adore peanut butter in my oats. But the calorie and fat factor is a bit of a deterrent for me. I need something a little lighter, but still filling. Chocolate covered banana oats please! So what do you think? 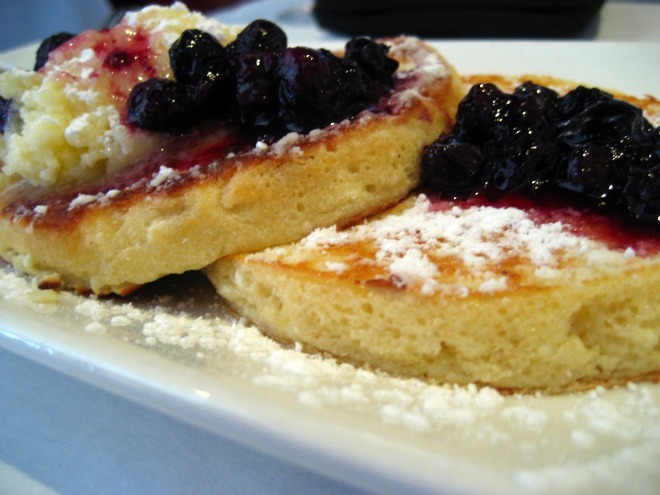 Are you a breakfast eater? What is your go-to? 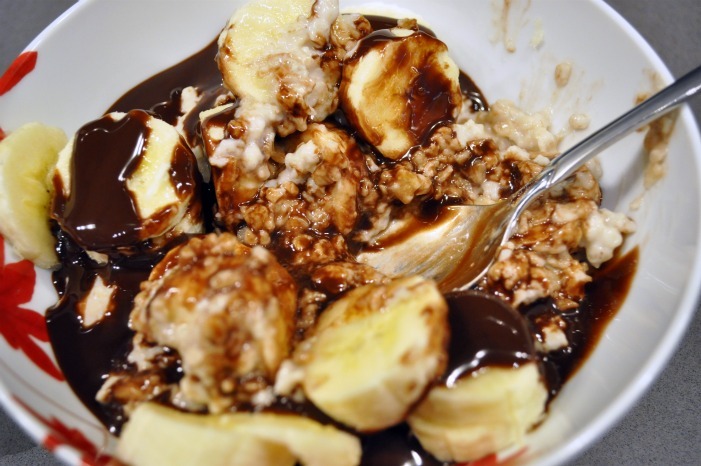 Is chocolate syrup in your oats too sweet for a morning meal? 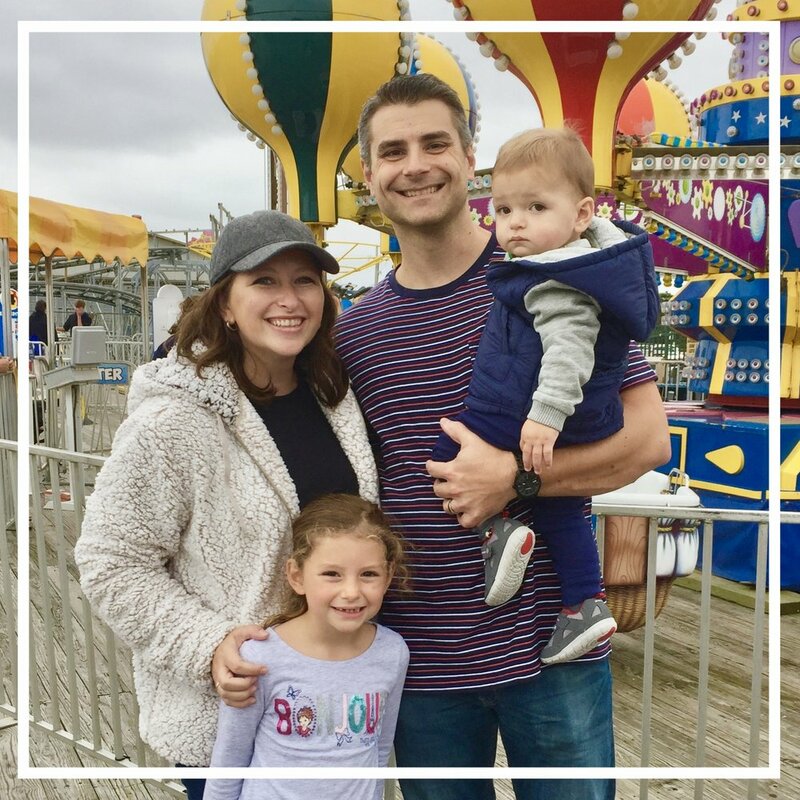 Psst...if you like what you see here, please check out my other blog that I write with my 2 fab sisters, The Peach & The Pit Of It! Hope to see you over there!